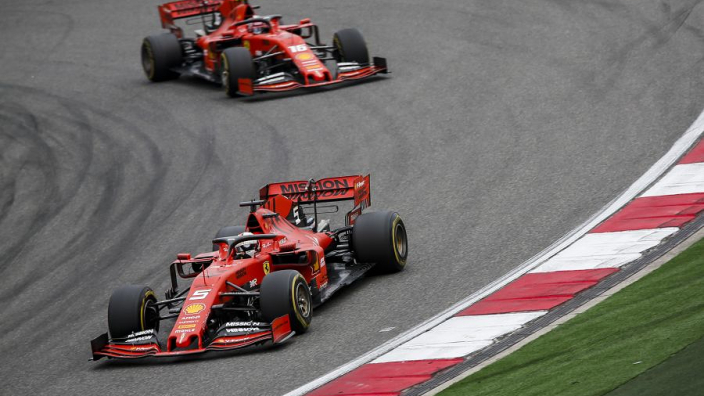 Sebastian Vettel criticised coverage of Ferrari's ongoing team orders controversy after he benefited at the expense of teammate Charles Leclerc to take the final podium spot at the Chinese Grand Prix. Ferrari have issued team orders to Leclerc in every race so far this season, with Vettel having been given pre-season "priority" over the newcomer. Leclerc caused a stir when he defied a team order to remain behind Vettel in Bahrain, overtaking his team-mate for a race lead which was taken away from him cruelly by an engine fault. 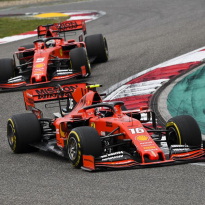 However, it was different in China as Leclerc ceded third place to Vettel, having jumped him off the line, only to struggle to keep pace with Mercedes. 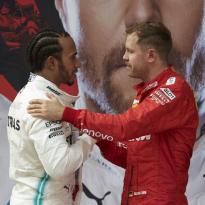 Once ahead, Vettel also could not hold onto the Silver Arrows, with Lewis Hamilton leading their third one-two finish from as many races this year. 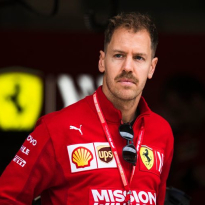 Pressed on the decision-making inside Ferrari, Vettel was quick to turn his attention to the reporting surrounding the issue. "I knew the moment it was happening that I would have to face these questions," he said. "I'm not sure I want to answer because I'm a little bit against the way that you, all of you, work because you take bits out of answers here and there and put it into the wrong light. "So if you ask me again in half an hour in the paddock maybe I'll give you a straight answer and you don't write it down. It seems the way that not maybe all of you but some of you are working. " 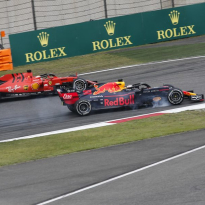 Leclerc's race was badly compromised by running behind Vettel, who locked up soon after taking third place, and the Monegasque ultimately lost another spot to Max Verstappen, finishing fifth. However, Vettel was confident that the team made the right decision. "I felt I was faster in the car," he said. "I was asked if I can go faster. I answered that I felt I can. "I was a bit surprised when I was in free air, not surprised, but I was struggling a bit to put the laps together. "Once I found the rhythm I think I was able to chip away but obviously the objective was to try and catch Mercedes at that point obviously the gap was already quite big."